It took me a while to search around review forums, blogs and almost all around internet to finally establish my equipment set for my photography needs. There are hundreds of sites and forums where one can find recommendations and tips, but the process of searching and making a decision to buy is pains taking and long. I went through the long process and have ended up with a setup that I like much and serve my needs very well. I thought, it would be good to setup a gallery of my gear for reference for other enthusiasts to help them make the right decisions. Also, I am asked several times what camera, lens etc I use and hence this gallery should be a good reference for such folks. I have been a Nikon fan for years and continue to be one. As such, entire information in this section is all about Nikon, sorry Canon folks ;) ! Thanks to Nikon for making such wonderful camera and lenses - without them everything would have been impossible ! Not to forget, Wimberley, Gitzo, Lenscoat, Visual Echoes, Apple, Adobe and others who have made great products to complete the entire digital shooting platform. 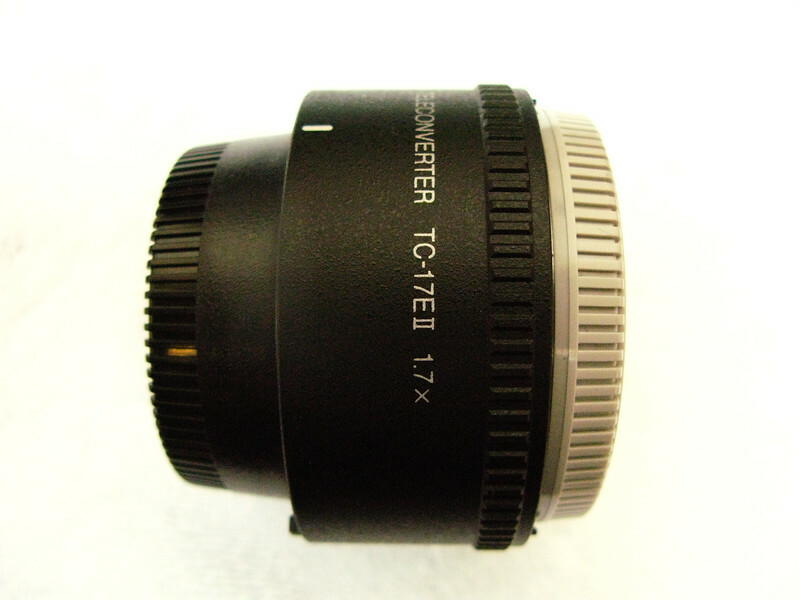 AF-S Teleconverter TC-17E II - Must have for bird photography. Gets me effective 1000mm two stop down on 600mm f/4 lens with FX D3S body. Autofocus is fast but hunts sometimes (for getting birds in flight), though results remain sharp as ever.